My Mom and Dad planned me last year in April. 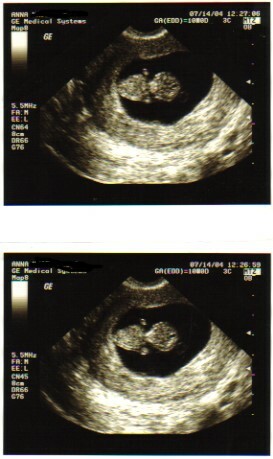 Luckily it only took one week worth of trying to conceive me! 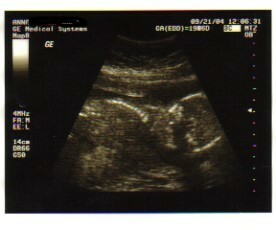 Mom went into the doctor's office June 16, 2004 and this is what they found! I was supposed to be twins! 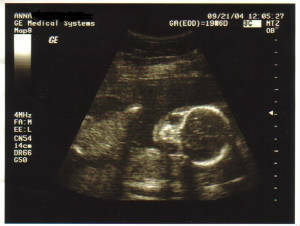 This is one of my last pictures before I was born. 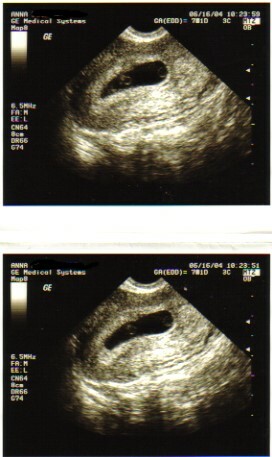 This was at 20 weeks when Mommy went in to see what I was! Here's my alien face! 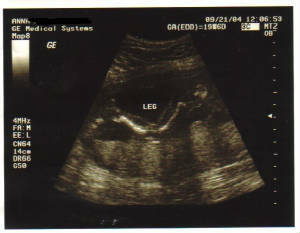 Here's my leg at 20 weeks. Cool, huh? Here's my third picure! It's amazing how much I grew in only a week. This was Mommy's scheduled doctor's appointment! 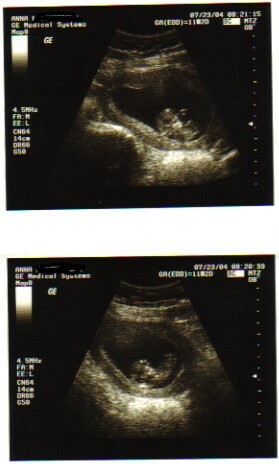 Here's another pic at 20 weeks. You can see my spine in this one! 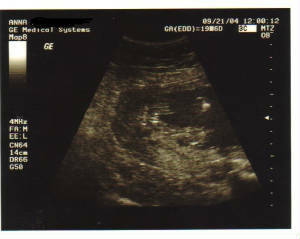 Here's the last pic before I was born. see the three bold lines in the middle? That's how they knew I was a girl! 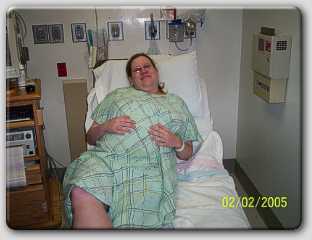 Here's Mom just before going in to have me via c-section! 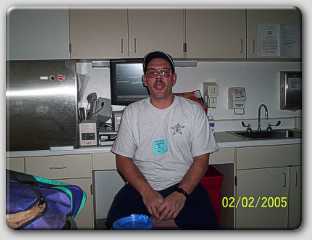 Here's Daddy being silly before Mommy has surgery! 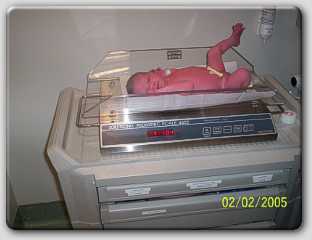 Here I am on the scale just after being born! 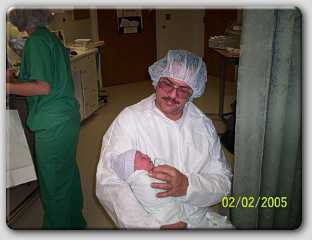 Here's Daddy holding me while Mommy gets stitched up! 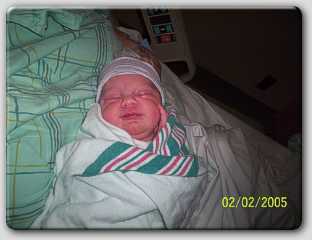 Here's what Mommy saw when she came out of surgery! 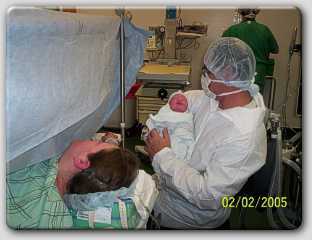 Here I am with Mommy just after she gets stitched up! Here I am getting ready to go home!